We made it to Denmark! It has been fantastic getting to know the beautiful city of Copenhagen and enjoy the long days of Danish summer. The city has really turned it on and we can’t wait to continue the adventure in The North! In April, we were hosted by Muraho Trading Company (MTCo) and had an incredible time in Rwanda. 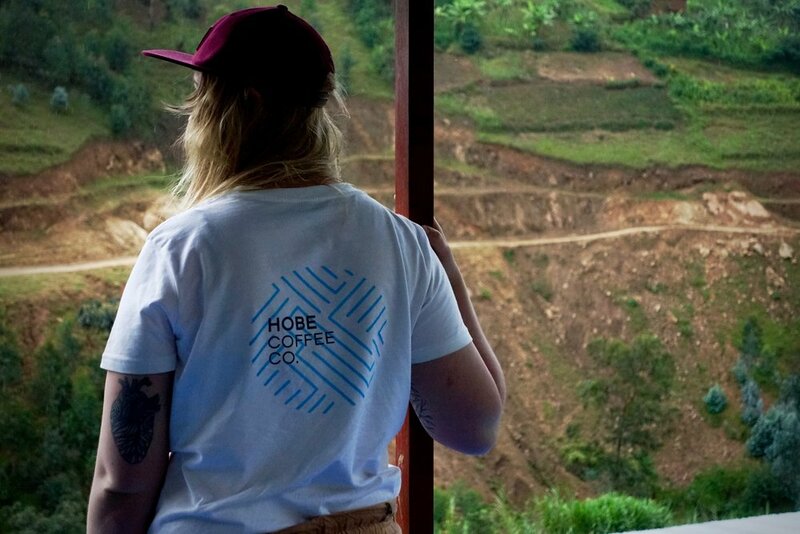 This was our second year visiting Rwanda and we already can’t wait to go back. The 2018 harvest is wrapping up so it’s time we did a post about what we got up to in the Land Of A Thousand Hills. It also means that fresh crop lots will be available soon! We were very privileged to be taken to the stations where these coffees were produced. The coffees themselves are truly unique and showcase the true potential of Rwanda as a producing nation. After MTCo’s first year of production they have already added another station to the family and partnered with three others. MTCo is determined to give back to Rwanda and they are already working with communities to improve living standards for farmers and station workers. They want to reach as many communities and produce as much delicious, ethically produced coffee as possible. So far they are nailing it! Always an exciting time cupping fresh samples. 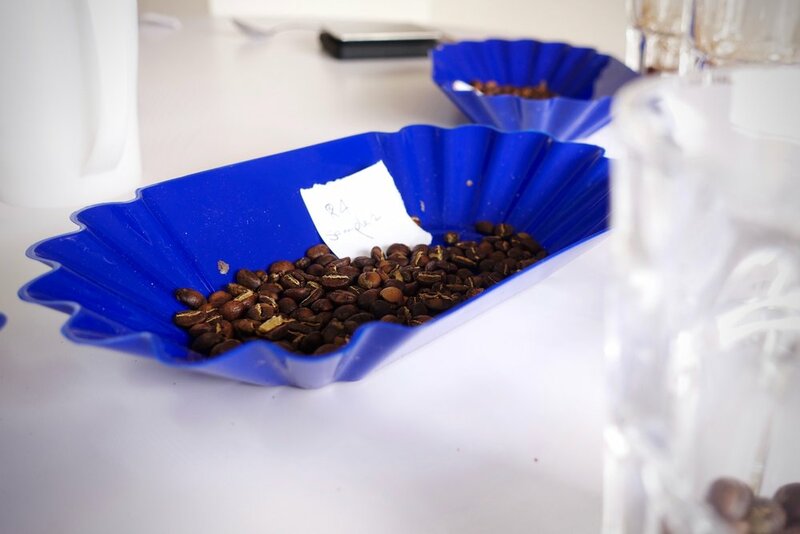 While we were in the capital, Kigali, we helped set up MTCo’s new cupping lab, developing roast profiles for samples, doing quality control on the coffees coming in, and helping to build lots. Being in the lab is one of the most exciting parts of the season as we get to see how all the hard work put in throughout the year has paid off. We were in Rwanda right at the start of the harvest this year, tasting early samples. Every lot produced by MTCo get’s cupped and scored which is an essential process in determining overall size of lots, quality and the price of the coffees. Even though the samples were from the beginning of the season there was an average improvement of scores from last year, so we are pumped to taste what the rest of the season has to offer. We also got to taste coffees from a brand new station MTCo have partnered with this year, so our levels of anticipation are very high. While we weren’t in the lab we were being shown the stations by MTCo business partner, Emmanuel Rusatira. If you know Emma, you know that means hours on end of hilarious stories and plenty of laughs, while travelling the stunning Rwandan countryside. They call it Land Of A Thousand Hills for a reason! Every corner you turn either brings you above surrounding views of endless hills stretched out in all directions or down in to valleys of vibrant greens and rich reds. With so much diversity in the landscape it is easy to see how such a small country can have such a wide range of flavours from the different regions. Re-visiting the stations was fantastic. The welcomes we received were truly something special. 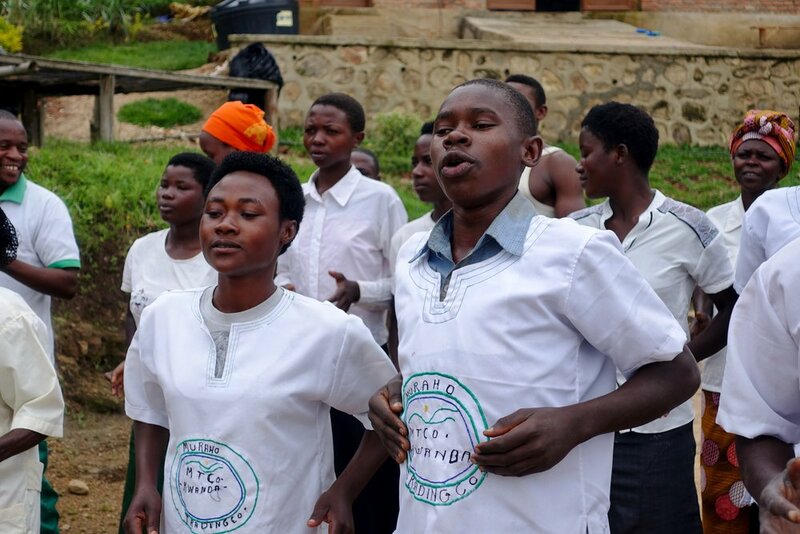 To be greeted with so much energy, sound and sense of community really highlighted how open the Rwandan people are. Everyone made us feel embraced in to their communities, for which we are extremely grateful. Just another reason to visit next year! Apart from all the singing and dancing we got to see how things have progressed and caught up with the station teams doing the hard work making sure processing of all the coffee cherries goes smoothly. There was a lot of unseasonal rain on the trip, delaying processing a bit in some areas. Consequently the stations were not yet in full production on our visits, but what we tasted of the early harvest samples was very promising. Seeing brand new station, Gisheke for the first time was a definite highlight for sure. 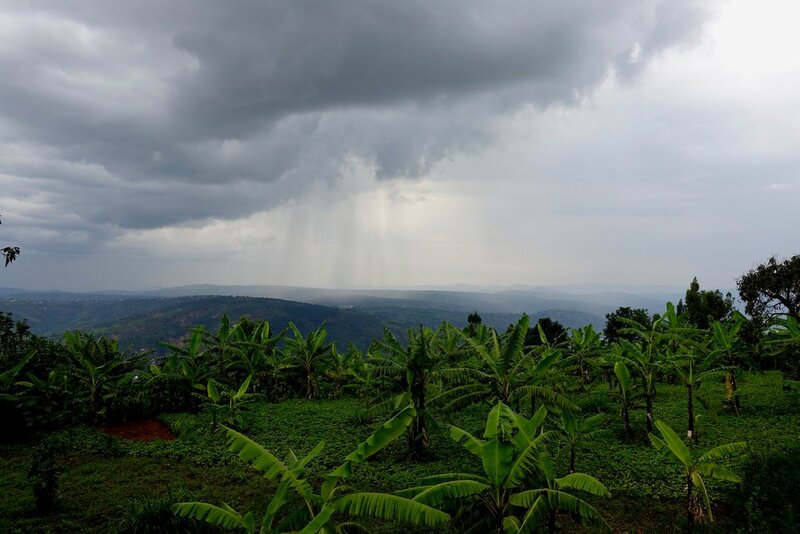 Gisheke is located just around the corner from Kilimbi, on the shore of Lake Kivu. You could not ask for a better view with a panorama of the lake and Idjwa Island in the distance. Almost 40% of the cherries received at Gisheke are delivered by boat from nearby Bushungwe Island. Judence Ingabire showed us around the station and we can’t wait to receive final samples. Emma stopping for a quick shot of the view on the way to Gisheke. Overall we had an incredible three weeks. Lots of laughs, barbecues, dancing, making new friends and of course, tasting coffee. We’ll be posting more about Rwanda and our travels, so keep an eye out. Rwanda is such an amazing country, filled with the most welcoming and friendly people. We fully appreciate the opportunity to collaborate with and support the fantastic work Muraho Trading Company is doing for local communities and as we always say, we can’t wait to go back! Next on the list is Berlin on the 8th of June and then off to Amsterdam for the World of Coffee! Stay tuned! Nicholas Rapp June 7, 2018 Hobe Coffee Co.